Would you like to be among the exclusive service providers who cater to the private, gated-community at Heritage Ranch? If you offer products or services and travel or deliver to the Heritage Ranch community, call Access Publishing for affordable rates. (805) 226-9890. Access Publishing has been producing this niche business directories for over five years. 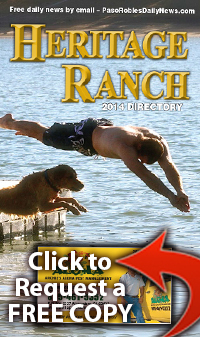 They serve the exclusive, gated communities of Heritage Ranch and Oak Shores at Lake Nacimiento, CA. The annual books connect residents to businesses who offer services in this North San Luis Obispo County area. The directories provide a convenient list of those businesses willing to travel there, because these two resort communities are 30-to-45-minutes away from Paso Robles. This year the books are receiving an upgrade with full-color throughout, and perfect binding. Advertising rates: Full page – $459, Half page – $299, Quarter page – $199. 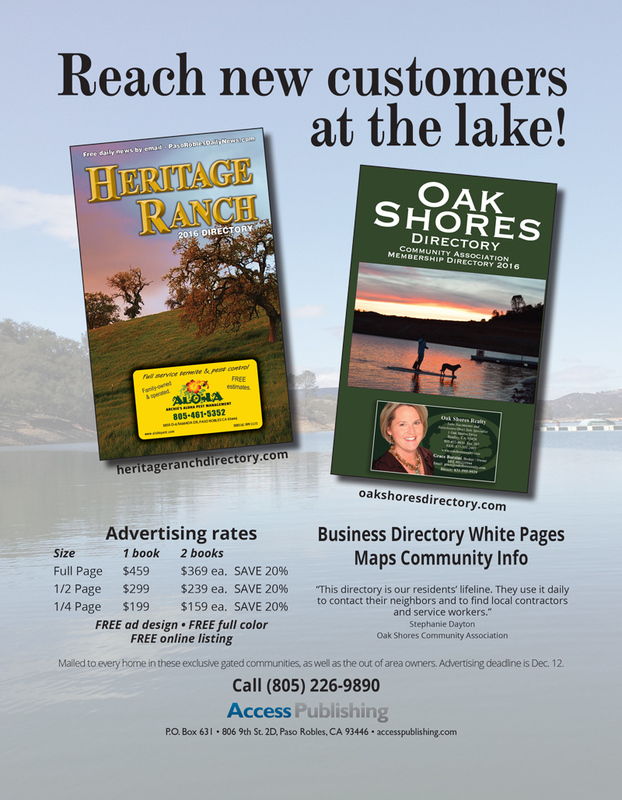 A 20% discount is available for advertising in both directories. Free design, full color, and a free online business listing is included in the advertising package. Publication date for the directories is the first week in January. Distribution of more than 3,500 printed directories is by US mail to every resident in the area. Additionally, the books are available at the community association offices.